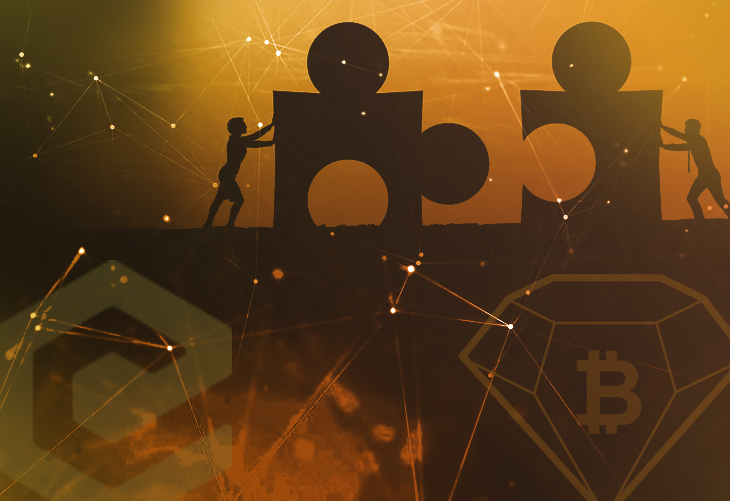 The Bitcoin Diamond (BCD) Foundation and Shopping Cart Elite (SCE) have reached an agreement to participate in a strategic partnership to launch the BCD Bazaar. With fiat currency falling under the control of central banks and with many countries tightening regulations in their federal jurisdictions on free trade, cryptocurrency has been experiencing a rapid increase in acceptance around the world. Countries have even begun approving cryptocurrency as a way for employees to take a portion of their salaries. One such example is Costa Rica where, according to an October 2017 directive from the Central Bank of Costa Rica, portions of salaries may be paid out in alternative forms — allowing for the usage of cryptocurrency as a form of payment. However, Costa Rica is not the only country moving towards using cryptocurrency for payment. Premier Division soccer team Gibraltar United have crept into the spotlight by becoming the world’s first football team to introduce cryptocurrency. With cryptocurrency quickly becoming the norm even for companies to pay their workers with, Bitcoin Diamond has positioned itself as a highly accessible and usable cryptocurrency. With fast transactions, low transaction fees, a secure and private blockchain, and affordable coin prices, it is well suited for making everyday transactions. The BCD Bazaar will be the first online ecommerce store that exclusively accepts cryptocurrency. With most retailers only offering specific products to a limited number of countries because of the limitations of their payment platforms, the BCD Bazaar will allow consumers access to products no matter where they live. The BCD Bazaar is designed to give consumers access to a wide range of products from top online marketplaces around the world regardless of their location. With this brand new online marketplace, users can pay for any item using Bitcoin Diamond (BCD) or Bitcoin (BTC). With access to products that were previously exclusive to certain markets, customers around the world can now pay for products that may have been previously unavailable to them. “Consumers who purchase products on the BCD Bazaar will have access to a range of brands including Amazon, Apple, and Samsung to name a few. These products can be bought with cryptocurrency and delivered anywhere in the world. Cryptocurrency allows families and businesses to trade their digital assets (cryptocurrency) for physical assets,” said Mr. Soshkin, who hopes that this will help consumers avoid high transaction costs and slow processing time, both of which can lead to massive cost savings on everyday products. The BCD Bazaar is also a solution for families in developing countries who may not have access to health insurance or documents that verify their identity. Because of the high costs of insurance, and without identity verification documents, these families are limited in their ability to use standard financial institutions as a way of paying for healthcare. As well, if a family is unable to afford health insurance and lives in a country that restricts the use of products such as CBD for medical treatments, they may find it nearly impossible to gain access to new products with the potential to help their loved ones. The use of cryptocurrency however, provides an online system that verifies transactions and can deter fraud, allowing families to safely purchase the products they need while avoiding being flagged by the medical system or doctors. The BCD Bazaar is set to open on AUG 20. To learn more about the BCD Bazaar and how you can take advantage of this opportunity, please visit www.bcdbazaar.com for more information.